What does the Quran say about the previous books? Were these books textually corrupted or were they available in an intact form at the time of the revelation of the Quran? [5:47] And the people of the Injeel shall rule in accordance with what God has brought down therein. Those who do not rule by what God has brought down are the wicked. If the Injeel (the book God revealed to Jesus) at the time of the revelation of the Quran was corrupted, how can the people of the Injeel judge by what is in it? [5:46] Subsequent to them, We sent Jesus, the son of Mary, confirming the Torah that is with him and We gave him the Injeel containing guidance and light and confirming the Torah that is with him and a guidance and enlightenment for the reverent. 1- It is clear that God is speaking about the time of Jesus when God revealed to him the Injeel. 2- In 5:47 God speaks about the “people of the Injeel”, which speaks of the people who have access to the Injeel. As will be shown later, the Injeel which God revealed to Jesus has long been lost and destroyed. This happened around the Council of Nicaea in the year 325 A.D. which was 3 centuries before the revelation of the Quran. As a result, when the Quran was revealed there were no “people of the Injeel” nor are there any such people today. The New Testament we have today is not the Injeel. [57:27] Then We sent Our messengers to follow in their footsteps, then to follow We sent Jesus the son of Mary. We gave him the Injeel and We placed compassion and mercy in the hearts of those who followed him. 1- The NT was written after the death of Jesus. 2- The NT is a collection of stories about Jesus, his teachings and his sayings. 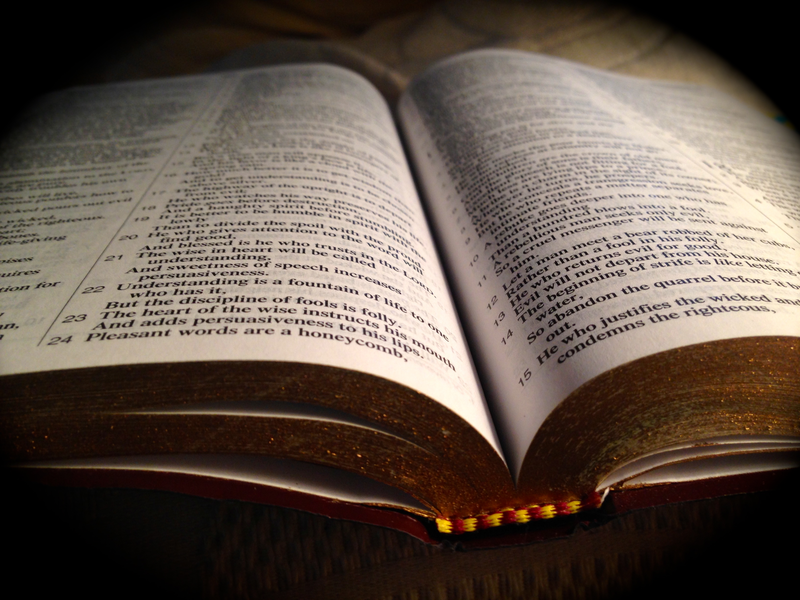 Did God give Jesus a book about his life and sayings? 3- The NT was written by men like Mathew, Mark, Luke, John and Paul who never met Jesus. God did not give the Injeel to those men, but it was given to Jesus. The original Injeel that was given to Jesus was destroyed and the possession of any copies of it was banned after the council of Nicaea in 325 A.D. when the doctrine of the Trinity was adopted. It is clear that when God speaks of “the people of the Injeel” God is speaking of the people who received the Injeel and who had access to it. The Christians today, or those at the time of Muhammad, are not “the people of the Injeel”, for they follow a man made book (NT) and a religion (Christianity) that was never authorised by God nor was it ever preached by Jesus (Jesus was a practicing Jew all his life). With this understanding, we attain the correct meaning of “the people of the Injeel” in 5:47. This phrase speaks of the original receivers of the Injeel and those who still had access to it. They were the ones who were commanded by God to rule according to what they were given in the Injeel. All who follow the New Testament are in fact following man made hadith not any different from the hadith of Bukhari, Muslim and the others, while thinking that they are following the word of God! With regards to the Old Testament, we find a number of Quranic verses where God speaks of the Jews, or the people of Moses, and how they corrupted their scripture. [4:46] From amongst the Jews there are those who distort the words out of their context, and they say, “We hear and we disobey,” and “Your words are falling on deaf ears,” and “Be our shepherd,” as they twist their tongues to mock the religion. [2:75] Do you yearn for them to believe you, when some of them used to hear God’s words then distort them knowingly when they have understood them? [3:78] Among them are a group who twist the scripture with their tongues so that you think it is from the scripture, when it is not from the scripture, and they say it is from God, when it is not from God, and they say lies about God, knowingly. [5:15] O people of the book, Our messenger has come to you to clarify to you many issues which you were concealing in the scripture, and to overlook much other issues. A light has come to you from God, and a profound scripture. Indeed God speaks of the Injeel and the Torah as sources of guidance for the people. However, when God speaks of the Injeel or Torah God speaks about these scripture in their original pure form in which they were first revealed. When these scripture were revealed they were surely guidance for the people, but that was before they were corrupted (Torah) or totally lost (Injeel). It is for that reason that God instructs the previous people of the book to believe in the Quran. [5:48] And We brought down to you the scripture (Quran), truthfully, confirming what is present of the scripture, and superseding it. For this reason, God repeatedly commanded the people of the book (Jews and Christians) to believe the Quran. [2:121] Those whom We have given the scripture and they recite as it should be recited; they believe in this (Quran). As for those who disbelieve in it, they are the losers. [4:47] O you who have received the scripture, you shall believe in what we have brought down, confirming what you have, before we banish certain faces to exile, or curse them as we cursed the people of the Sabbath. God’s command is done. 1- The previous scripture were either lost (the Injeel) or were corrupted (Torah). 2- The Quranic instruction to the people of the book to rule according to their scripture speaks only of the receivers of the original scripture when they were in their intact uncorrupted form. 3- The receivers of the previous scripture are required to believe in the Quran. This is NOT True. Jesus Christ is God and his Apostles except Paul did know Him. Do not deceive people or you are like devil worshipers. Quran was a later compilation from Bible and Tora with no fundament.